Ragi/Finger Millet is grown in many parts of India and this grain is considered to be very healthy. 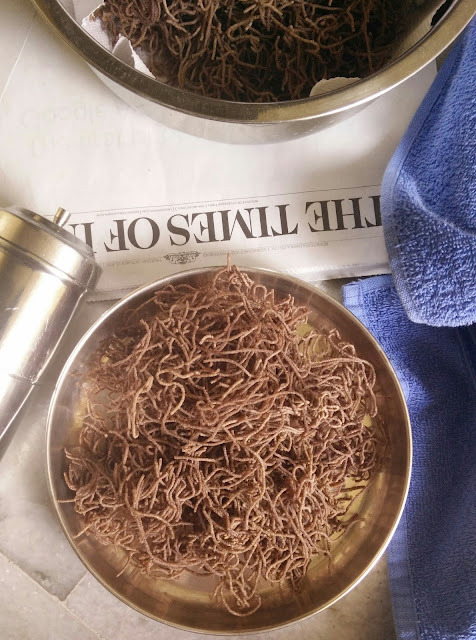 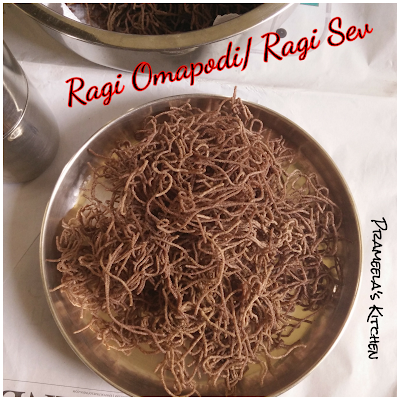 Today I would like to share a recipe of fried snack ie "Ragi Sev" made out of finger millet(Ragi). 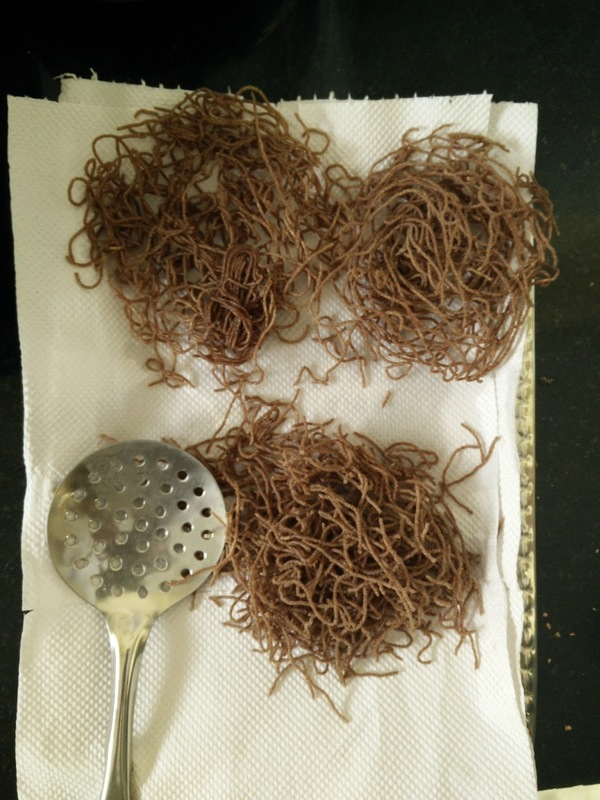 I have already shared Plain Sev ( Traditional Indian fried snack ) in my earlier post. In this recipe, Ragi Flour,Besan,Rice flour and Ajwain is used to prepare a dough. 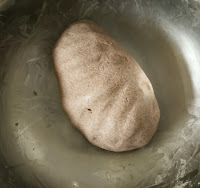 Sev will be pressed using this dough and deep fired just like traditional method. 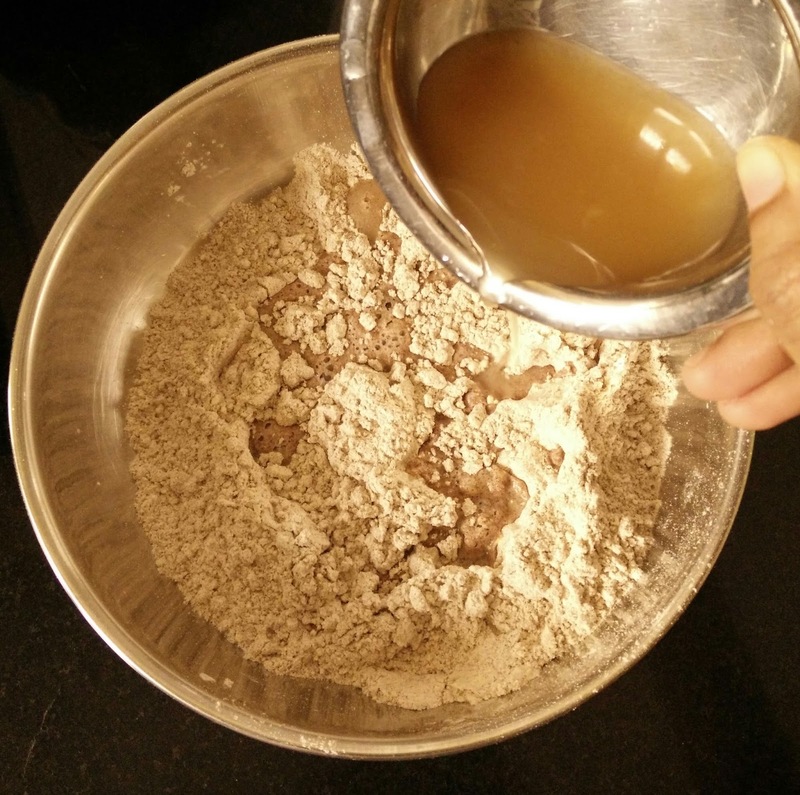 Dry roast the Ragi flour for a minute and let it cool down.Sieve besan flour,ragi flour and rice flour and transfer it into a mixing bowl. 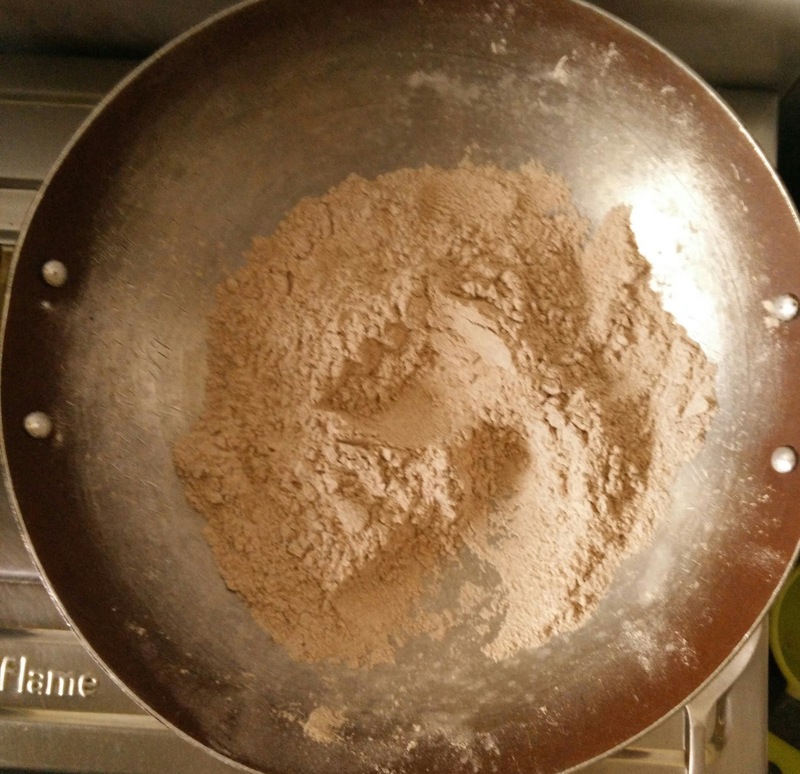 [I did not do it, as store bought flour was super fine). 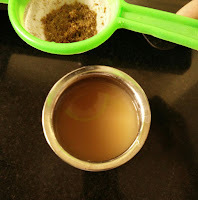 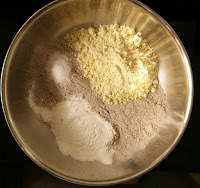 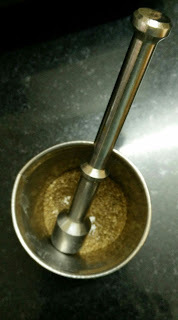 Add salt and mix it well.Now add the filtered ajwain water and hot oil.When you add hot oil you should hear sizzling sound.Using spatula mix it well.Now add water little by little and form a soft non sticky dough using your hands. 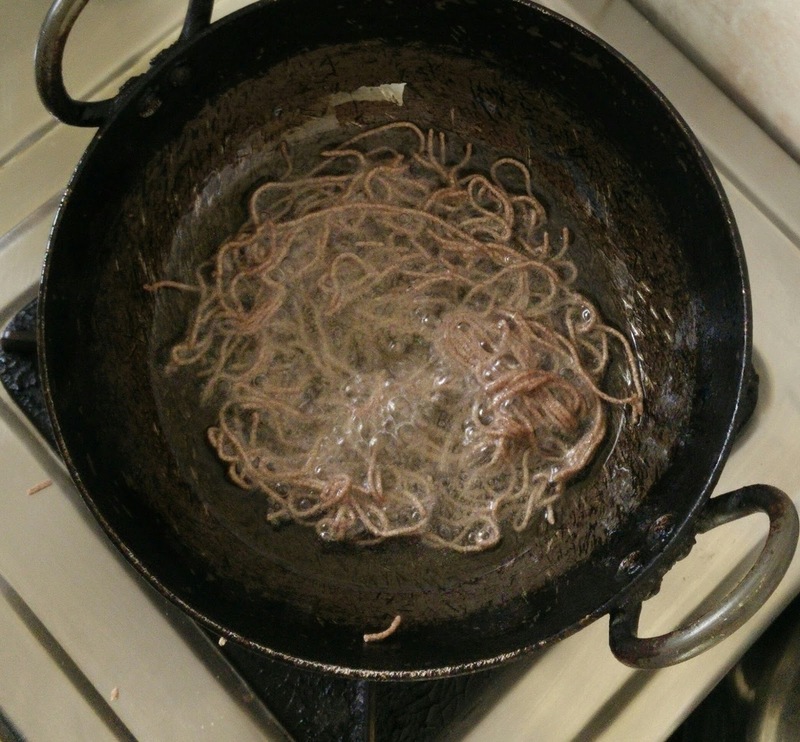 Cover the lid and keep it for 5-8 minutes. 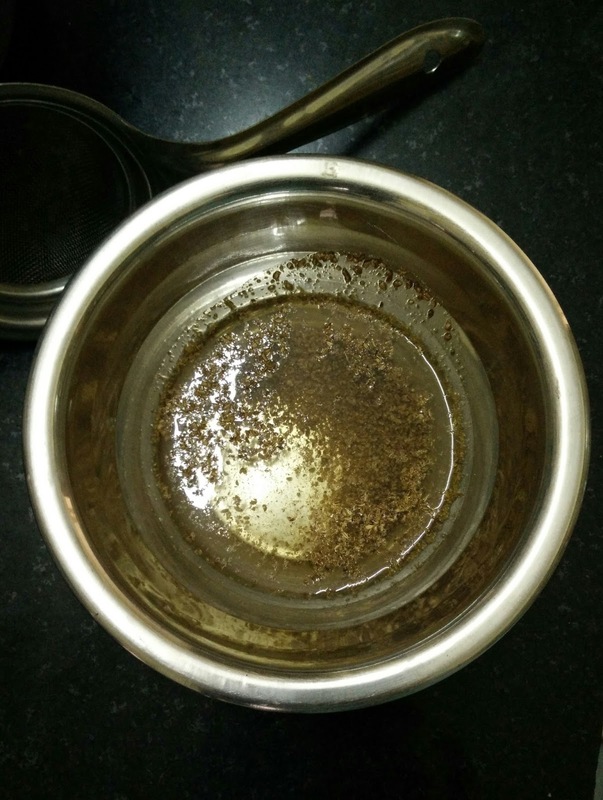 Fill the murukku mould with the dough till 3/4th.Meanwhile heat adequate oil in a kadai/pan, To check if the oil is hot, drop small piece of dough in a oil ,if it comes to top immediately then the oil is ready.Press it in the hot oil starting from the corner like a circle finishing it up in the middle. 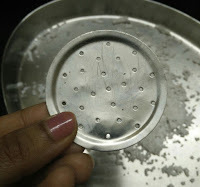 Once it is cooked on one side turn over to other side and cook till bubbles stop. 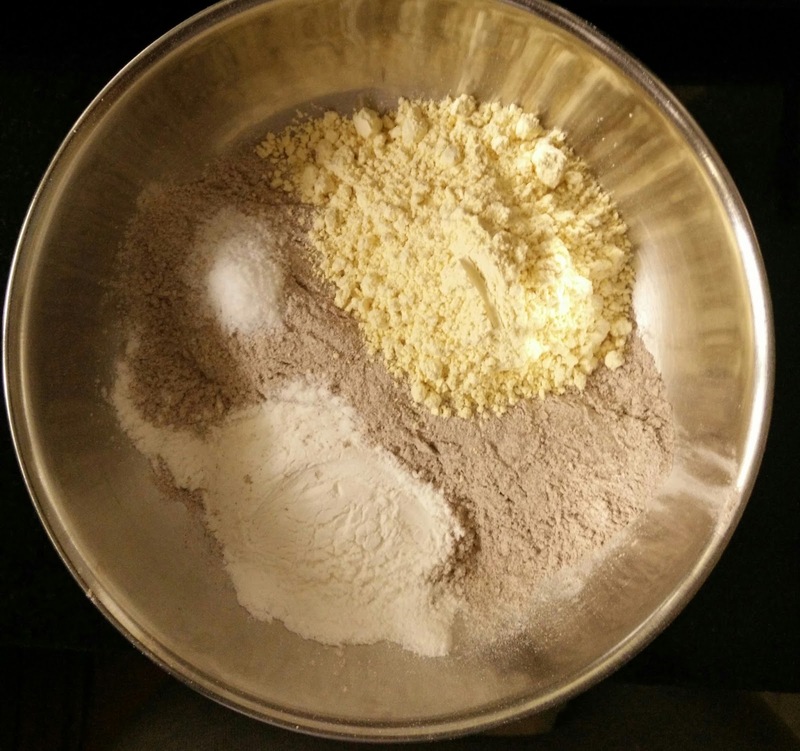 Repeat this process for the rest of the dough. Drain in kitchen tissue, after it cools down store it in an airtight container. 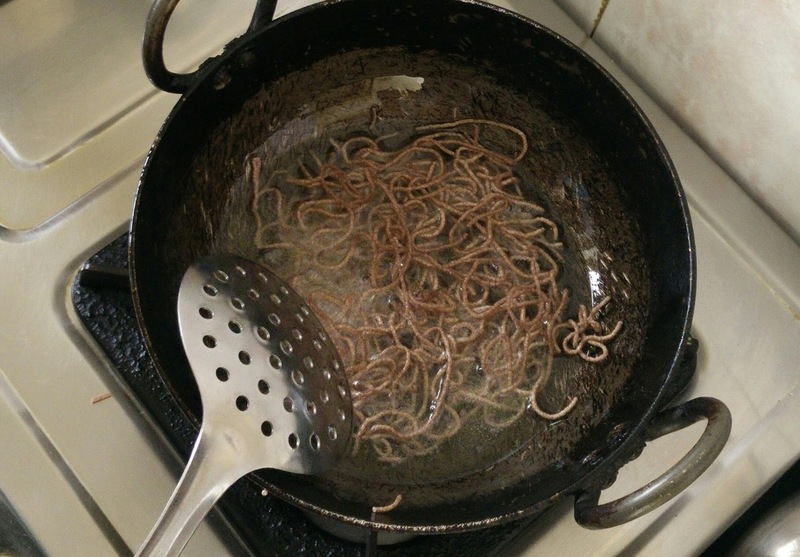 Please be careful as you will be pressing the sev directly on to the hot oil.